MapleStory 2 is a massive MMORPG with countless monsters to fight and dungeons to explore, but it's no simple thud and blunder battlefest. 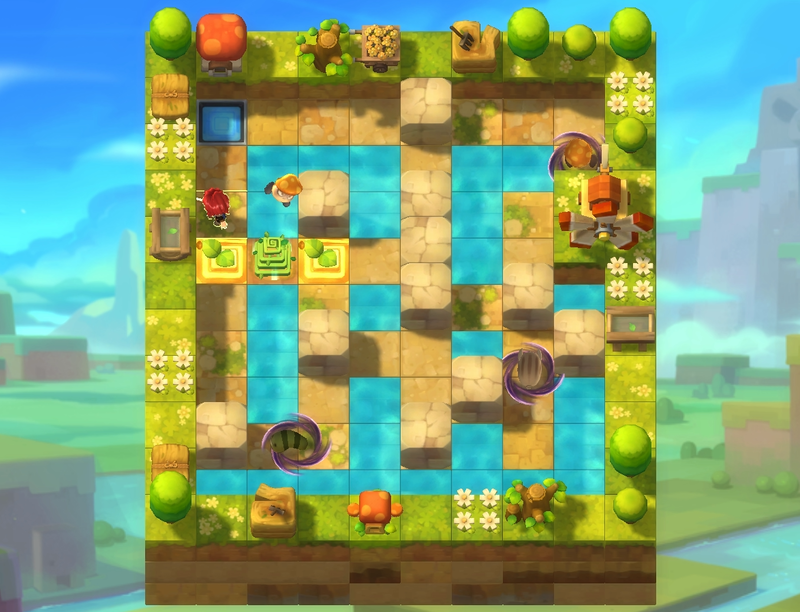 Maple World is filled with mini-games, things to create and a mess of fun to have without even having to touch a weapon! Build your dream home in MapleStory 2! Every player gets a free house and while it might start out small, you can boost the size of the housing space for free, expanding it in all three directions. Place blocks in your house to create rooms, stairs and gardens; make objects to interact with; and create portals to send you across the expanse of Maple World! You can even invite your friends over to enjoy your work. You can check out some of the amazing creations that players put together during the Closed Beta in the series below! 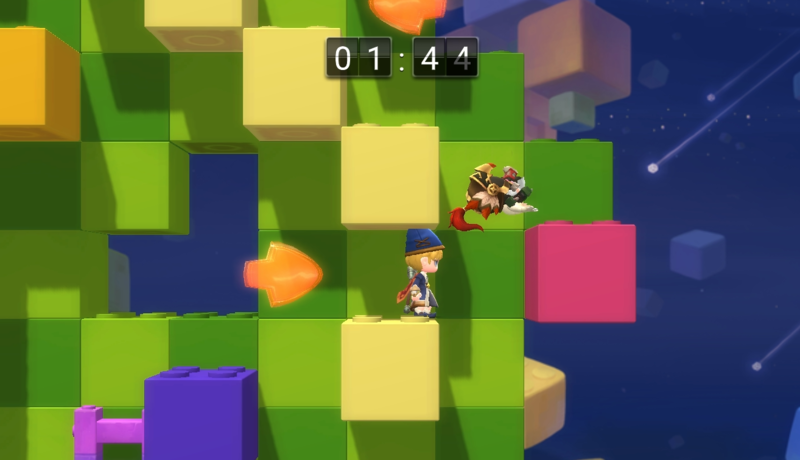 Special blocks can be purchased with mesos or Merets, with many unique designs earned through achievements you complete while playing MapleStory 2. You can even outfit your house with custom-built scripts to make your creation even more useful! Ever play an RPG and you just can't find an outfit that makes your character look right? 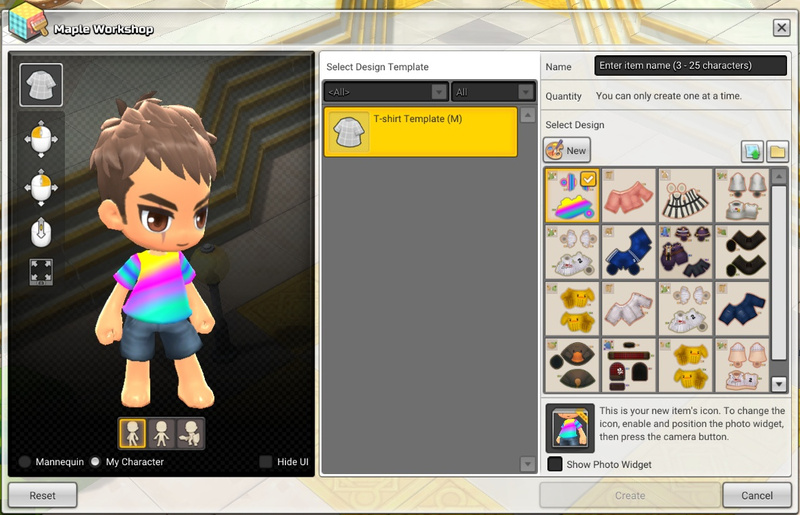 MapleStory 2 lets you create your own designs with the User Generated Content (UGC) system. While playing you can obtain numerous Templates, blank models of outfits ranging from T-Shirts to Baseball Caps to Robes, which you can customize to make a design all your own... and we don't mean something as simple as "select three colors". By creating a New Design with your Template, you'll be given a worksheet in the form of a .png file, which can be modified in nearly any painting or graphics editing tool. Color it, customize it however you like, add lettering and upload it when you're happy with the final product, and you can immediately be wearing your own special outfit! You can even put up your own creations on the Design Shop, where other players can purchase them for Merets, with 70% of the proceeds going to you. It's not just outfits either – you can create custom blocks for use in the Housing system, and there will be more Template options to come! Note: User Generated Content of an explicit nature, or that infringes on a copyright, trademark or other intellectual property rights of a third party is not permitted. Please see the User Generated Content Policy for full details. 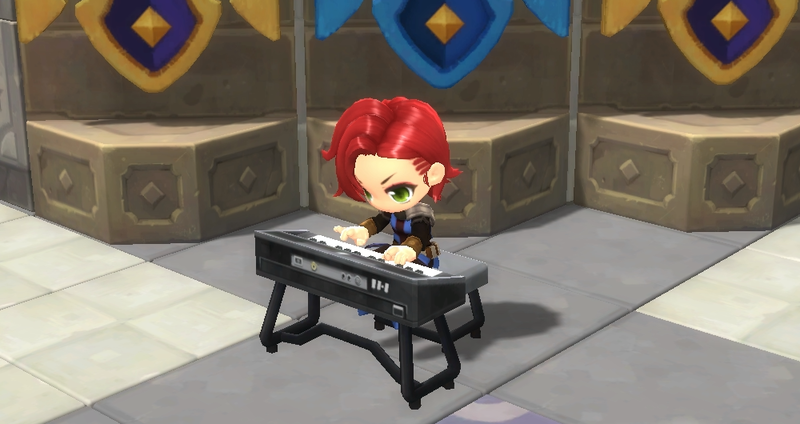 MapleStory 2 has a wide selection of instruments, ranging from guitars to pianos to harps and more, that you can play for the benefit of others. You aren't just limited to a few sets of looped tunes, however: MapleStory 2 allows you to create your own music, using simple notation to turn sheet music into a beautiful symphony! Create your own masterpiece and share it with others as much as you want. You can learn more about how to turn sheet music into something you can play in MapleStory 2 with the Music Score Creation Guide and create your very own masterpiece in MapleStory 2! Throughout the day, Maplers are invited to join special mini-games, where you can compete against other players to take first prize, hone your skills and earn some EXP and mesos! Hit the dance floor with some friendly competition! Gather with other contestants on one of the lit squares, with enough players to match the number shown. 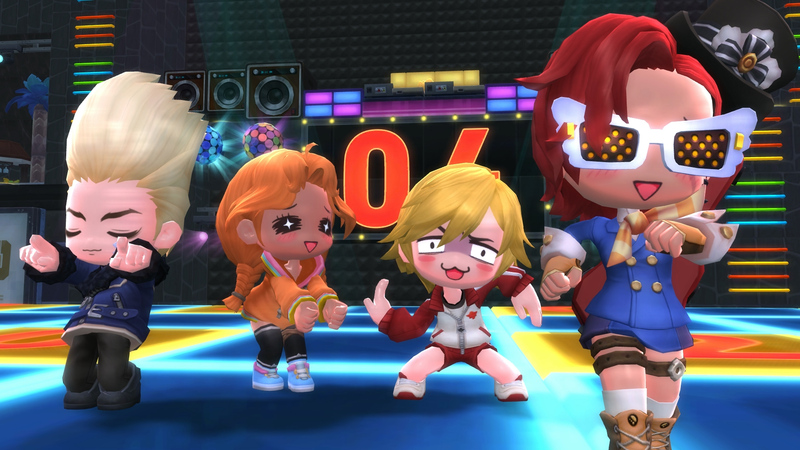 Secure your footing and then put on some dance moves to earn EXP! The X-O Quiz puts you on a stage with dozens of other Maplers as you get quizzed on your knowledge of both real-world and Maple World trivia! Run onto the O or X if you think the statement is true or false and if you're not sure, see what your fellow Maplers think! Watch your step! Random tiles will fall away from underneath you as time goes on, with those players that fail to find secure footing eliminated. Keep safe for as long as you can for more EXP and mesos! The spring plants have invaded the beach and want to kick everyone out! Each round the ground will rumble, flinging everyone that doesn't move to safety into the water. Survive all five rounds to win! Like Sole Survivor, this mini-game makes the ground your greatest foe. Most of the ground will fall away in an orderly pattern, eliminating anyone without safe ground to stand on. MapleStory 2's action has far more than brawling, with quick movements, careful climbing, timing jumps and dodging projectiles all critical to defeating the many monsters of MapleStory 2. Practice your skills with a pair of periodic Obstacle Course races, the 2D maze of Ludibrium Escape and the long race of Crazy Runners, where you will compete with other players to see who can reach the exit first. The Maple Arcade, available in the World menu, contains fun mini-games you can play solo and rack up high scores, along with a helping of EXP and mesos. Two Arcade games are currently available, with more coming soon! Vile pests are attacking the farm, and only you can stop them. Plant springy seeds to send the baddies flying, pick up items to take them out faster and race through the five levels as quickly as you can to earn the high score! Angry monkeys ahoy! It's a simian brawl above the sea. 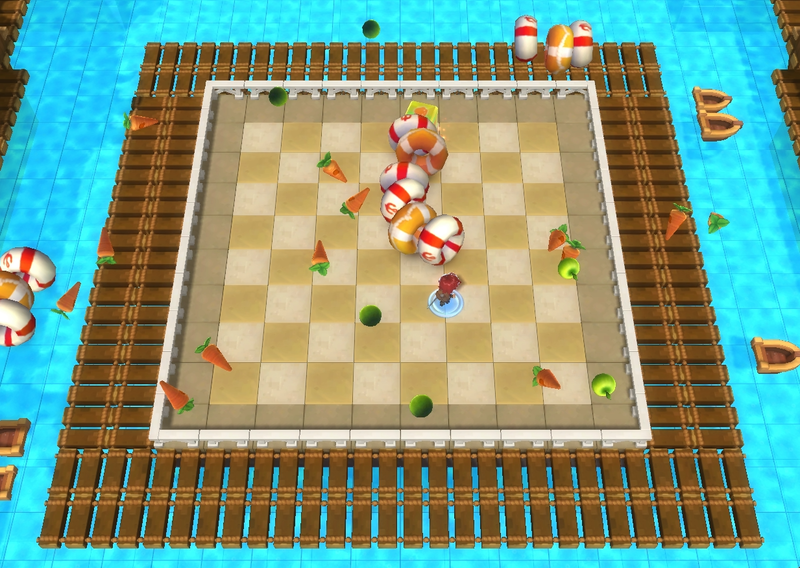 Don't let these monkeys hit you with their produce and pick up (or avoid) cubes with random effects to keep going. The longer you last before taking your last hit, the greater the high score and better the rewards!